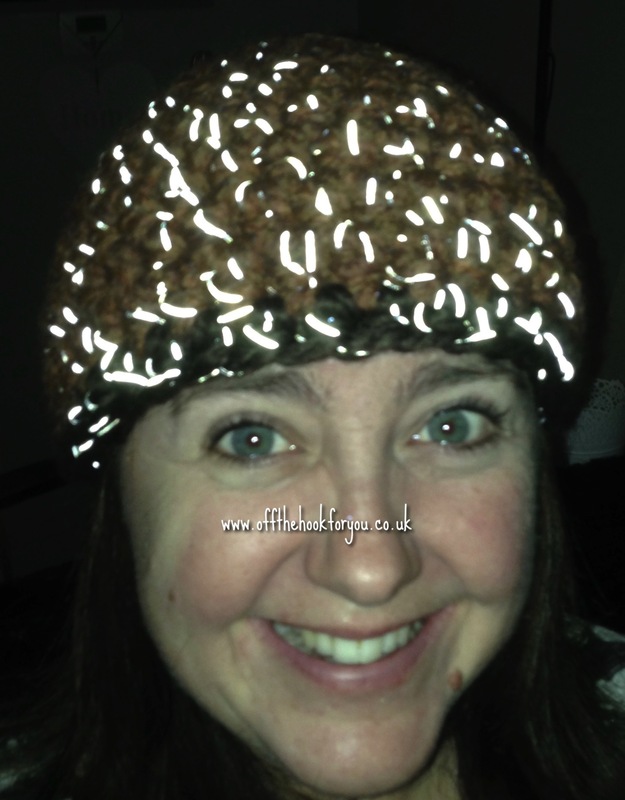 I’ll admit it – I make a lot of hats! Crocheting a different hat for my kids to wear every day of the week it seems. Well it’s all good being warm, and that will definitely be needed soon, England is getting mighty cold lately…. We even lit the fire yesterday! But what about being safe? So I looked into how I could make us safe, and seen while they are scootering round the block, in the pitch black with me running along behind with the dogs! 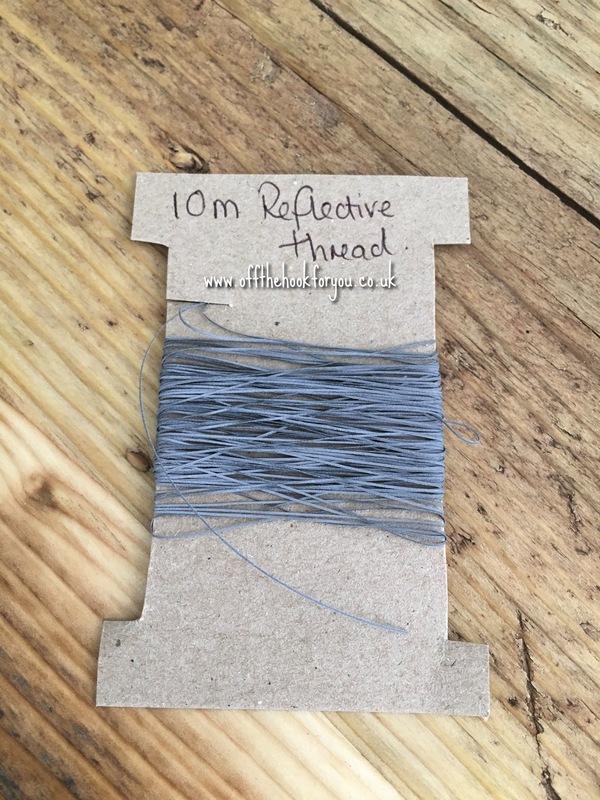 I’d seen reflective yarn in our Hobby craft shops, but at £8 a ball and it was only be super chunky weight – so not very versatile – there must be another alternative? 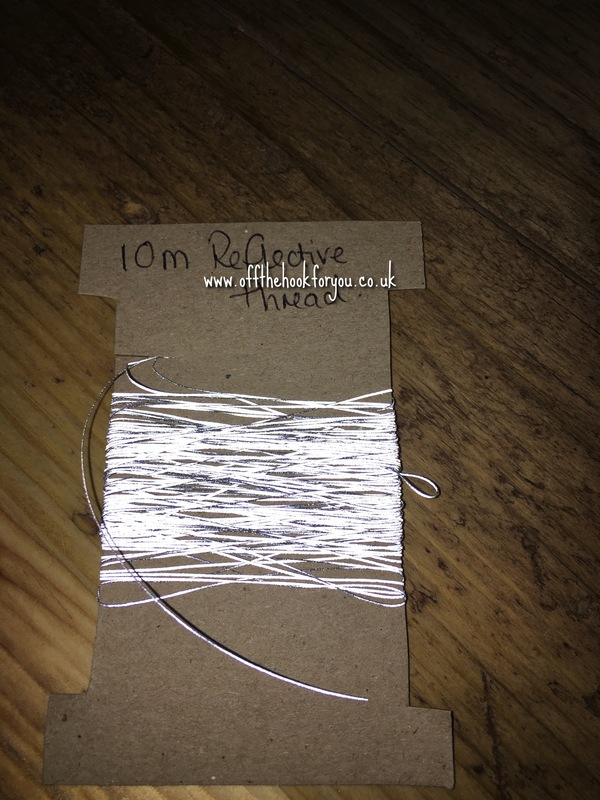 This is what I have come up with – Reflective thread! Genius…. If I do say so myself! I’ve got some for sale in my Etsy shop, as even in my wildest dreams I don’t think I’ll use over 4000M of it! In daylight like the picture above, but when headlights / a camera flash hit it….. So what I have done with it hear you ask? 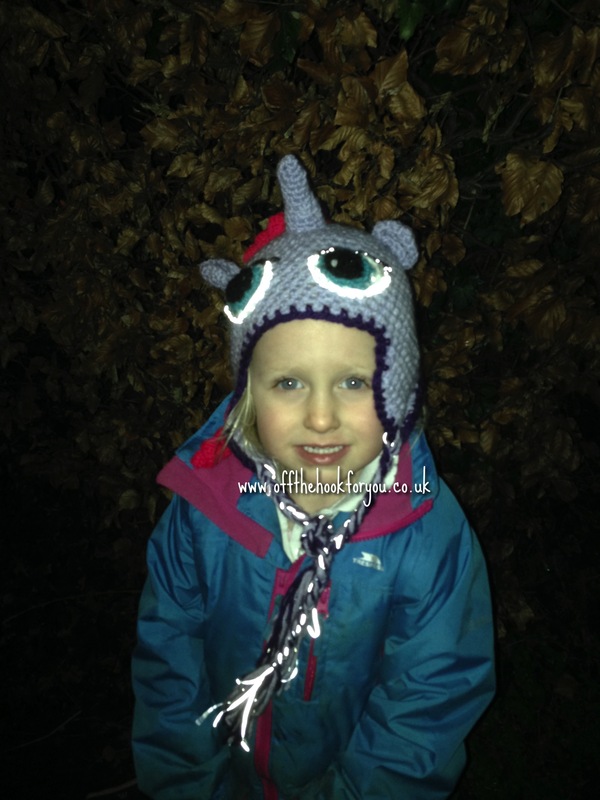 I made myself a dog walking hat, and one for my Mum. 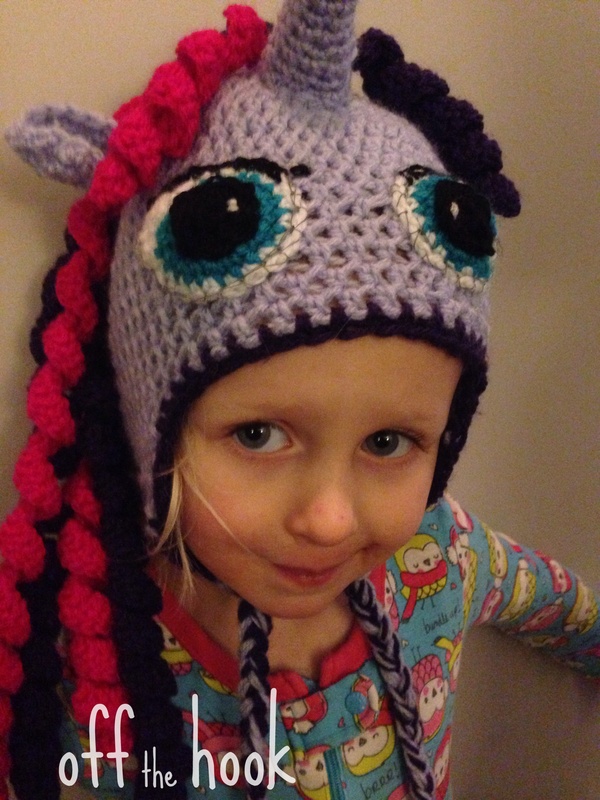 I’ve made my little girl a Twilight Sparkle hat adding the thread to the eyes, and the tassels. 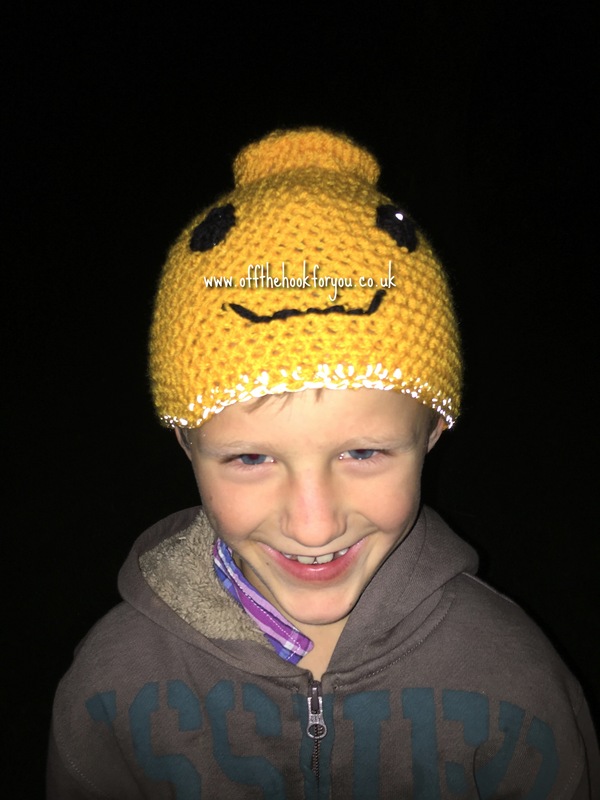 And this week, (after seeing the first ever crochet hat I made, and realising if I’m honest that it wasn’t the best) a request from my son. Can you guess what it’s supposed to be?